The Masonic Digital Trust was founded as a way to handle long-term digital assets for Masonic jurisdictions, districts, lodges, and bodies, most specifically websites and related Internet accounts. Currently, the Trust serves sites under or related to the jurisdictions of the Grand Lodge of the State of New York and the Most Worshipful Prince Hall Grand Lodge of the State of New York. The services here are based on professional experience in the web development field and on the particular needs of Masonic lodges, organizations, and governing bodies. Run by Bro.Ken JP Stuczynski, this is not seen as a personal project — the goal is to develop a system which can be managed and perpetuated by a board of digitally competent Masons with nominal compensation and maximum reinvestment. It is hoped this model will be encouraged and replicated by other ambitious Brothers to give further opportunities and choices to all in the Craft. Bro. 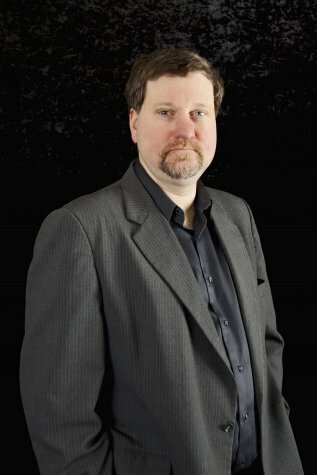 Ken JP Stuczynski created and currently runs the Masonic Digital Trust and is the founder, advisor, and Grand Lodge liaison to the Digital Square Club of New York. He is the webmaster of NYMasons.Org, and as a member of the Communications Committee has worked with numerous districts and lodges to square away their digital presence, now and in the long-term. His web development business, Kentropolis Internet, provides hosting services for the Trust, and any fees charged in that capacity go toward ongoing assurance of service continuity for this project, even as it may be eventually handed over to other competent parties in the future. Masonically, Brother Ken is a 32º Scottish Rite Mason and Companion in the Royal Arch, serving in various offices for the three Symbolic Lodges he is active in, as well as his passion, the Western New York Lodge of Research. And the story of the journey would not be complete without mention of involvement with his wife in the Order of the Eastern Star.